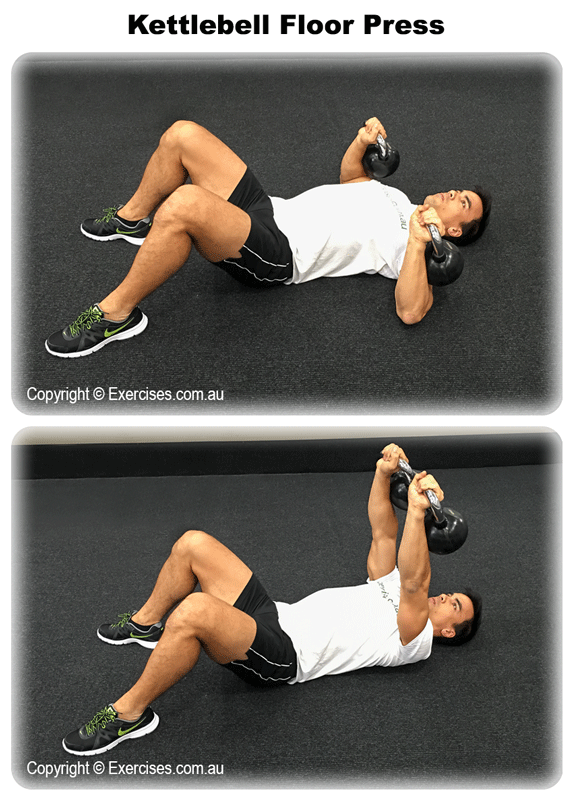 Kettlebell Floor Press primarily targets your upper chest and triceps with secondary emphasis on the shoulders. In addition to adding size to your arms and chest, the Kettlebell Floor Press also improves the mobility and stability of your shoulders. 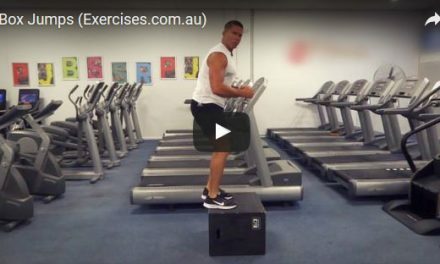 This is a good alternative to the Barbell Floor Press if you have shoulder problems because you can rotate your wrist inward to minimise shoulder pain. Set yourself on the floor with the kettlebells alongside your shoulders. Roll your body to the side of the kettlebell as in a fetal position and grab the handle. Pull the kettlebell close to your chest then roll back to the starting position. Adjust the kettlebell to make sure it is secure. Roll your body to the other kettlebell, grab the handle then roll over back to the starting position. Straighten out your legs and press your heels against the floor to stabilise your upper body. Tighten your shoulders then press the kettlebells straight up. Bring the kettlebells down under control and pause for a count of “one” when your elbows touch the floor. The pause is very important for the floor press! Repeat the movement until you have completed your targeted amount of reps.
Kettlebell Floor Press requires great stability which is why you do not have to go heavy on this exercise. 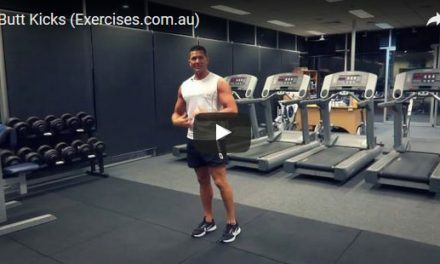 You get more benefits by focusing on executing the movements deliberately and under control. You can increase contraction on your upper and middle chest simply by turning your outer wrist inward. Make sure to keep your shoulders braced against the floor, your elbows tucked to your sides and your heel pressed against the floor.